Second Baptist School and Church recently partnered on a parenting series titled Parenting PhD. The prayer is that this series will equip and prepare us for the ever-evolving and fast-paced wireless culture that children encounter every day. The initiative started with a session geared toward middle and upper school students presented by Axis. Axis is a non-profit organization that seeks to creatively share God’s truths to the next generation. 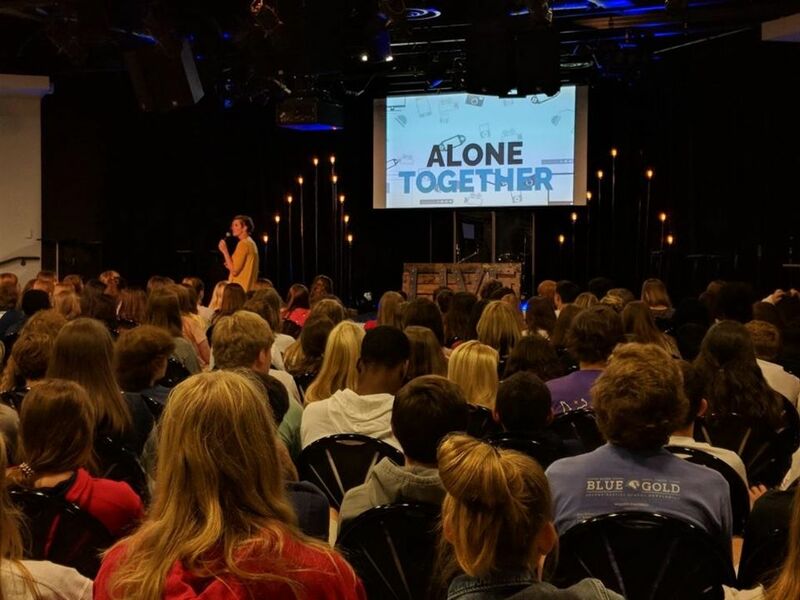 The mission of Axis is “to empower the next generation to think clearly and critically about what they believe and to take ownership of their faith.” Through a dynamic presentation titled “Alone Together”, Axis shared the impact of too much screen time on a teenager’s life. Thank you Axis and Second Baptist Church for your relevant and wise initiative. Our students, teachers and parents are continuing to broaden their lens and equip for the ever-changing world. If you missed last Saturday’s Parenting PhD conference with Axis and like to know more, visit www.axis.org.